Pictured is the train about to leave for Boston. 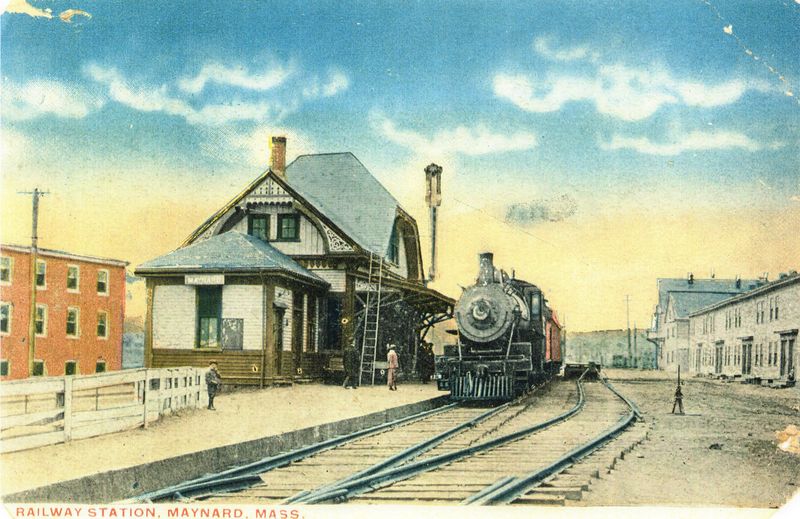 Before the arrival of automobiles several trains per day left Maynard for Boston and Marlboro. 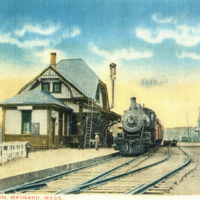 “Boston & Maine Railroad Station & Train early 1900's Maynard, MA,” Maynard Historical Society Archives, accessed April 24, 2019, http://collection.maynardhistory.org/items/show/1362.